Think Feel Do is not a book of theory; it’s a book of How-To. It puts you in charge of your two most valuable assets - your mind and your brain. The book is based on The Everything Humanly Possible (EHP) Matrix, a complete yet stunningly simple model of human experience. The authors developed the EHP Matrix from their combined decades of experience and knowledge in the life-changing application of Neuro-Linguistic Programming (NLP). 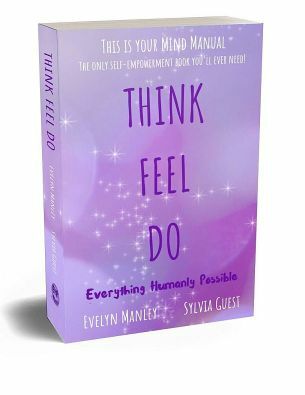 Woven through with powerful metaphors and extraordinary personal triumphs, Think Feel Do is more than a self-help book - it's a journey of personal discovery that will nurture you in mind, body and spirit. All downloads are pdf files and will either download immediately or open in a new tab, depending on your browser settings.